We had a lovely weekend celebrating the dads in our family. Here's the card I made for my dad. I love the Wood Textures DSP. 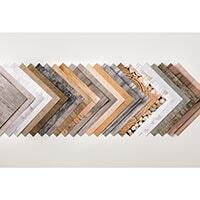 It comes in a handy 6" x 6" size with lots of different wood grains in various shades and textures. I've cut the letters out using the Large Letters Framelits - quite an investment but such a handy size. The background is stamped with Gallery Grunge - another nice set for all those texture stamps. We had a zip up the freeway to visit mum and dad for afternoon tea with some yummy brownies. ... and Jack got the pen out for some drawing. He likes to raid my washi tape stash for some quick and easy decorating. It was nice to take some time to be grateful for the awesome dads in our family. We are very lucky. The robot stamp is retired now. I love the word bubble framelits - definitely a handy set to have in the framelit collection. Hannah (12) made use of the Little Letters Framelits to make this card. Jack (8) elected for just a pen and a piece of paper. Love his sense of humour. Before his birthday I got in touch with a swag of relatives and got them to send a birthday message or funny memory. MDS made it easy to put the scanned or typed messages, stories and photos together into a photobook. Here's a look at the front cover. I used Well Word DSP throughout - the digital DSP packs make it easy to produce a coordinated look. It is a bit of a personal gift so can't share too much more but it came up so well. I think the nicest part of putting together photobooks is watching people read them. Great way to capture lots of people's thoughts and a ton of funny anecdotes. I kept it super simple - just picked a background paper, inserted the scanned letter or typed in a text box. Added a matting layer and drop shadow. Photos done with the same process on the facing page. I'll be back next time with Hannah's birthday bits and pieces. Here's a look at some of the products featured. Click on supply list for a printable version. My class ladies and I often comment that we have lots of feminine cards but not many masculine ones in our stash of cards. So by request I made sure to include a masculine themed card in my May classes. We used the inked embossing folder for the background. Here's one variation. 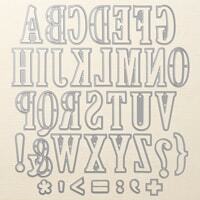 We used Early Espresso ink on the Alphabet Press embossing folder. 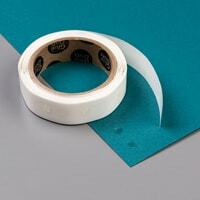 The cardstock was Soft Suede. Soho Subway DSP is a great pack for masculine cards - so many great designs. We used the versatile Tag Topper punch too. I've made 5 more cards using the leftover bits and pieces from May classes so keep an eye out for those over the coming weeks. I mentioned last blog post that I was working on my newsletter. It is a little delayed as my newsletter program wasn't letting me add any new photos over the weekend. Can't have a newsletter without pretty pics! June class dates are up on my class page here if you're looking to book into a card class. I'm off to the annual Stampin' Up convention tomorrow through til Saturday. You can reach my via text or email if you're placing orders or have a Stampin' Up question. I think I'm most excited about having 4 days without saying 'Hurry up.' That's a bit sad isn't it - ha ha. Just myself to organise - bliss! I'll keep you posted on any exciting new snippets from convention. Now I'd best get onto packing or I'll be wearing the same thing for 4 days. A quick and simple card today using the Perfect Pennants stamp set and some circle punches. I do love embossing folders. This card features the new one - Ampersand. Find it here. The greeting is from Perfect Pennants stamp set. Some handy greetings in that one for both card making and scrapbooking I think. Find it here. I had some leftover bits of cardstock stamped with the Woodgrain background stamp so added those to the card to finish it off. Always handy to make use of those scraps isn't it. Popping into blogland quickly tonight to share a couple of MDS project I've been working on while watching the footy on TV tonight. My nephews are having a joint birthday party tomorrow and I've been using MDS to make their cards. I'm going to print these card fronts and attach them to cardstock cards. William's card: I've used MDS: Delight In The Day DSP, Epic Overlays for the letters - coloured with the colouring tool, and some embellishments from the On The Go kit. Hello - time for our monthly blog hop and you'll love the theme this month. It is masculine projects. I always seem to have a ton of feminine cards on hand and hardly any blokey ones. Grab a cuppa and head on round the 7 stops in the hop if you'd like a bit of inspiration for crafts for the guys in our lives. Waving a hello if you've arrived from Ros Davidson's blog. She always has such stunning projects to share. Some leftover strips of the Christmas themed paper - Letters To Santa. Old Olive and Early Espresso cardstock. A touch of tearing and crimping and some ribbons. Blokey ribbons - hmmm not sure there. What do you think? I've been tying little bundles of ribbons on everything since I got back from Convention. Who was it who showed that little tip? I'll update to link - my memory is fuzzy tonight. I had some more leftover strips so thought I'd make another card. For this one I scrunched and grunged up my strips with a sanding block, and sanded the scored lines on the base card too. I had some leftover punched circles of silver glimmer paper. They looked a bit bright for my card so I painted them with Soft Suede reinker. Time to head on now to the next stop on the hop and you can find that here: my lovely, caring friend Christine Blain. I know she'll have something just gorgeous to show you so I'll wave a bye for now. UPDATED: Here's a list of all the hop stops if you're visiting a little later. Christine, Kathryn, Nikki, Di, Tina, and Ros. Watch out - you'll be rather tempted to order Extreme Element after a lap of this hop. I was! Happy hopping and I hope you get some ideas (and some time) to add to your 'cards for the boys' stash in the coming weeks. I never seem to have enough guy cards in my little box of cards, so this week I decided to grab out a pack of Well Worn DSP and some Crumb Cake (Kraft) cardstock and get creating. I trimmed all my cardstock strips to the same width and spaced them randomly so I didn't have to do any maths - ha ha. Simply Scored for the score lines, some linen thread and an antique brad, and a greeting. (From one of the big birthday sets.) Even dug up my stampamajig this time rather than winging it on the greeting. One more pic since I rather like this one. My sort of style - simple. Have a fabulous weekend. I had a creative burst last week so a few more things to share with you in the coming week. Happy Easter. We're enjoying a few days of rest, relaxation, chocolate eating and bike riding. Since it is holiday time I thought I'd share this card - any of you spending the holidays at the beach? We did this card last month at technique class. The stamp set is Surf's Up (from the main catalogue) and includes the waves, greeting and surf board. Perfect set to add a little crayon resist to. My crimper got a bit of a run and we added the brads before attaching the strip so that they didn't show through to the inside of the card. We embossed the greeting and one surf board with Cherry Cobbler embossing powder (yum!) and the other surfboard with white embossing powder - on darker cardstock so that those lovely swirls showed through. I hope you're having lots of fun, and maybe even a bit of craft time, over Easter. .... and set to work creating! In holiday mode so kept it nice and simple. You can find a great range of products for the men in your life on pages 18 and 19 of the Summer Mini. Stamp Set: The Open Sea. Bakers Twine in a few colour combos. And the Nautical Expedition patterned paper. I've grabbed out my 1 1/4" and 1 3/8" circle punches for a quick and easy card. Shhhh, really should have sponged the edges of those circles but hey - it is January! While I had the supplies out I whipped up two more. Now if I can get into the habit of that I'll be restocked for guy cards in no time. Takes not much longer to make 3 as to make 1, especially with simple designs. Here's the second card we made at last week's Autumn Mini Catalogue Launch. A nice simple one. 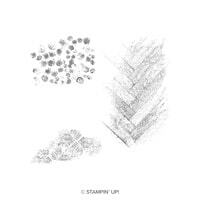 The French Foliage stamp set is so easy to work with. The greeting is done with Early Espresso ink on Cajun Craze cardstock, and punched with the new Decorative Label punch. The base was stamped with images from French Foliage using More Mustard, Soft Suede and Cajun Craze ink. Some sponging around the edge to add a bit of depth. The base card is Crumb Cake, a colour I use all the time and constantly have to restock. Here's a matching bag made with the little brown paper bags from the Autumn Mini. But Monday morning 7.30am we had trucks, bobcats, diggers and men in yellow vests all on site. Here's the view from our balcony in the morning. And then it rained all day so now it is a bit of a mudpit! I'll pop a few more pics up over the coming weeks as the project takes shape. We're very excited to finally have it happening. Once this is up we can get some water tanks in place then can start on the rest of the yard. Hmmm, given our track record on keeping pot plants alive this could be interesting!